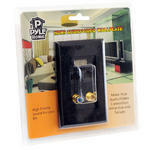 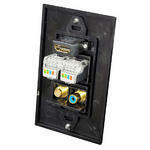 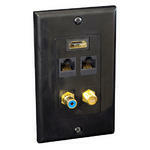 This black Pyle wall plate lets you keep your cables organized out of sight and behind the wall. 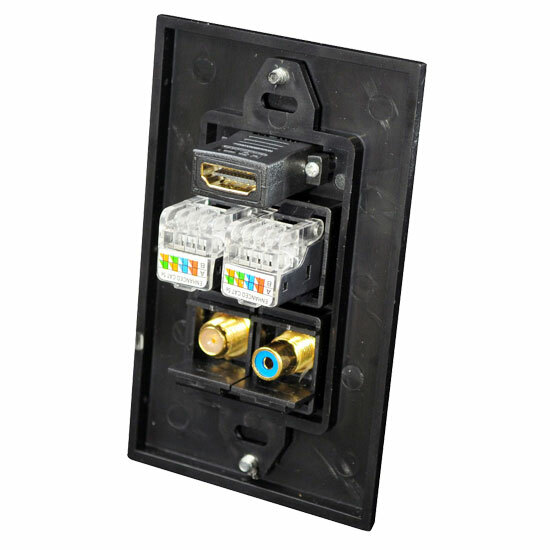 Don't just run your cables through a hole in the wall - give it a professional look with this Decora-style wall plate. 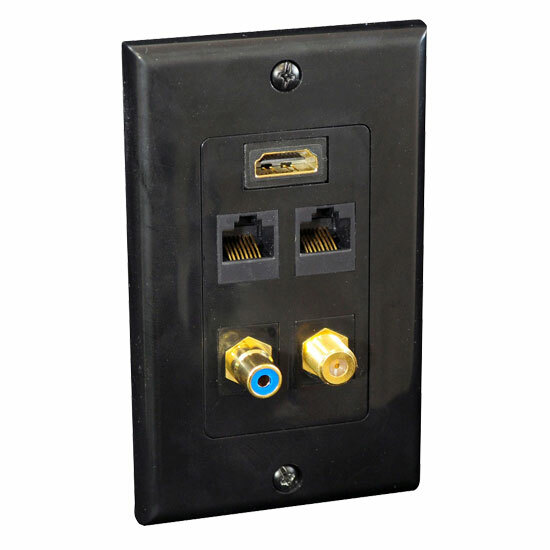 Includes an HDMI connector, two RJ45 (Ethernet) connectors, one RCA, and one coaxial connector.